Introducing the New HillShrink HDTR-D4. Offering further control for time and heat intensity settings. The HillShrink Heat shrinking machine device is designed to reduce the costs of heat shrink tube processing. Best suited to lighter, coloured or more heavy duty materials. But will also Shrink Darker Heat Shrink Tubing as well. Introducing the New HillShrink HDTR-D4. Offering further control for time and heat intensity settings. The HDTR-D4 Heat shrinking machine device is designed to reduce the costs of heat shrink tube processing. 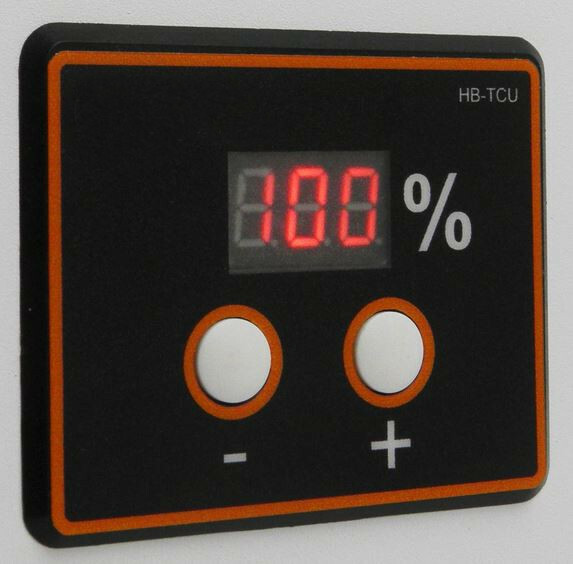 It offers increased control over time and heat intensity settings with user friendly digital control panels. These new innovative machines reduce costs when compared to the traditional heat gun method. 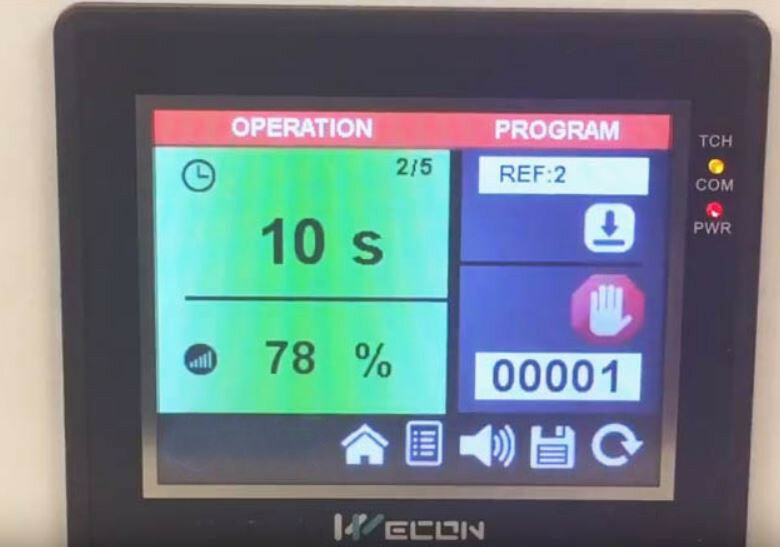 Faster, safer and give the operator full quality control over the shrink process. There are two models in the range, EcoShrink-D4 & HDTR-D4. The Eco-Shrink D4 1200w is best suited to darker applications, for example, black tube, darker adhesive lined tubing and will also do Clear whereas the HDTR-D4 (1600w) is best suited to lighter, coloured or more heavy duty materials but will also shrink black. 3.5″ Touchscreen HMI; touchscreen control for increased programming capability. 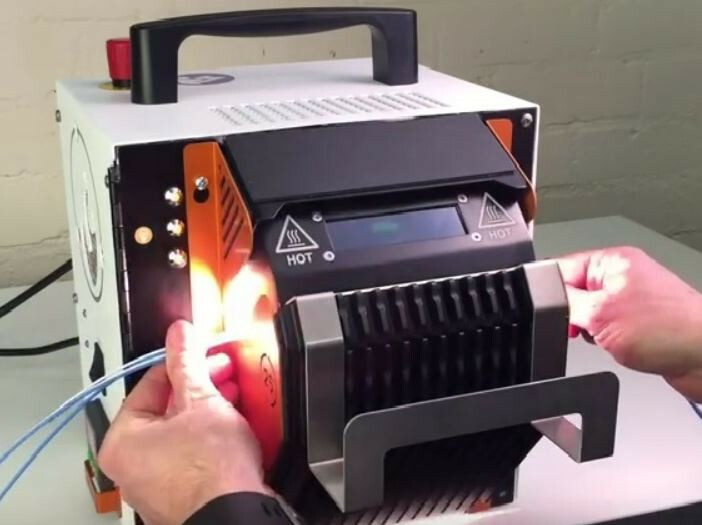 Heat intensity control: Heat adjustment eliminating the risk of burning shrink tubing. 360 Degree Shrinking: Innovative design allowing 360° shrinking without the need for turning the cable. Processing viewing window: Operator friendly viewing window allowing optical inspection and easy setup. Lightweight design with carry handle: portable and fully electric for easy transportation. Fully safe - The moving guard is fully safe by means of a pressure sensitive switch. All hot surfaces are stored away from the operator eliminating any possible danger of accidental burning. Can be used on a wide range of shrinking applications. Saves time and energy over traditional heat gun methods. Best suited to lighter, coloured or more heavy duty materials. But will also Shrink Darker Heat Shrink Tubing as well.